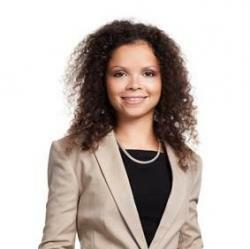 Aline is currently studying in the Full-Time MBA programme at Frankfurt School. Before entering FS, she was working as an environmental engineer in the area of water- and wastewater treatment. 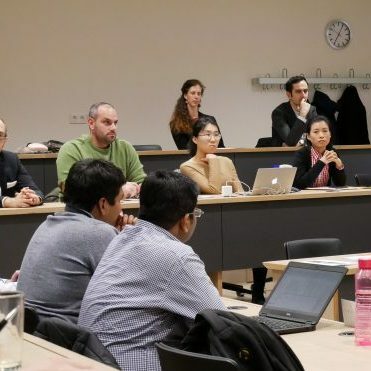 „Colloquium: In the boardroom“ is a series of events giving MBA and EMBA students the opportunity to discuss with an expert about prevailing business topics. Furthermore, it gives not only an insight about a company from the view of a manager, but also about the personal career development of the speaker. A group of designated students host the event together with the MBA programme director, giving them room to shape the event with own ideas. Prior to the Boardroom talk, the students get in contact with the speaker for a first exchange, to discuss the content, raise questions and to collect background information. Additionally, there is a chance to get further insights for the introduction speech, which is conducted by the students. The event is split into a content talk, a business area related topic, and a career development talk. After each section, there is time for the audience to address questions directly on the presented topic. An informal get-together with the speaker and the audience completes the event. Mr. Theodor Schabicki, a Frankfurt School alumnus and Partner at BearingPoint presented the topic „Digital & Strategy in the Banking Industry“. With his extensive expertise in „Capital Markets & Securities“ as well as „Process optimization and Design“ he was an ideal choice to discuss the future of banks in light of upcoming changes due to digitalization. In our case, we received the presentation before our personal meeting, providing us with a first glance of the topic. For me, with no economic background, this was very helpful as it allowed me to get familiarized with the topic in advance. A deeper look into Theodor Schabicki’s presentation and prior discussions with my group members YU Le and Manuel Dirks provided me with the insights needed on competition that banks are facing from FinTech companies to be fully prepared for the event. Right before the event, our group met with Theodor Schabicki to introduce us and get to know him as well as to check for last questions regarding the upcoming event. It was a pleasure to prepare the event with him and to see his interest in our own professional background. As we told him about the interest of our fellow students in the consulting industry, he dedicated part of his career talk to explain authentically the efforts and throwbacks one might have to face when pursuing a career in Consulting. Having the support of a mentor in a company is as essential as having the persistence to go through tough times. Our group agreed that hosting this event was a very good and helpful experience. It provided us with interesting insights that can fully be applied in the future. Next time, we will join the event as passive participants again – trying to come up with challenging questions.